Mim Scalin is an artist who teaches workshops on creativity at the Virginia Museum of Fine Art studio school using Mail Art as the medium. An active member of the International Union of Mail Artists, which connects her with people throughout the world, this is her first time hosting Slow Art Day. Slow Art Day: What does Slow Art Day mean to you and why did you get involved? Mim: This is my first time as a host for Slow Art day. My son told me about it and I thought, “wow, like the Slow Food movement. This will be great fun.” Slowing down to participate in something seems like a good idea at a time when we all seem to be have a lot going on and rarely slow down. 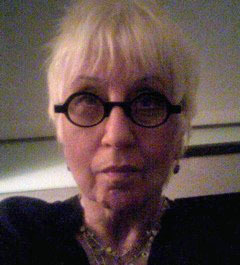 Mim: I grew up in Chicago and was often taken to the Chicago Art Institute as a child. 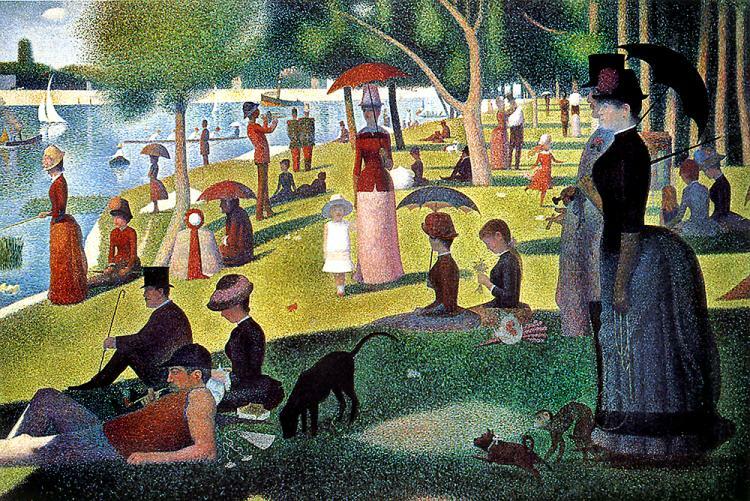 Among the many fabulous works of art, I saw Sunday Afternoon on the Island of La Grande Jatte, by Seurat, and I think that had a big influence on me. I was fascinated by how the artist could create something like this, and I wanted to make art, too. Mim: I really enjoy the Virginia Museum of Fine Art, and I go there lots since it’s near my home. The museum has undergone a major renovation recently and there are works on display now that I’d never seen before, or perhaps hadn’t paid attention to. I’ve chosen 5 works from the American collection. I included 3 portraits, a landscape and a still-life. Most of the artists are not well-known, which is a benefit as the work will be “fresh.” I went many times over the past couple of months trying to limit choices. I had a friend join me and we had the best time looking at work slowly and determining the final selection. After viewing the work, we’ll meet up at the museum cafe for lunch and share the experience of viewing art slowly. Join Mim to peruse American Art for Slow Art Day in Richmond, Virginia, Saturday, April 28, 2012.